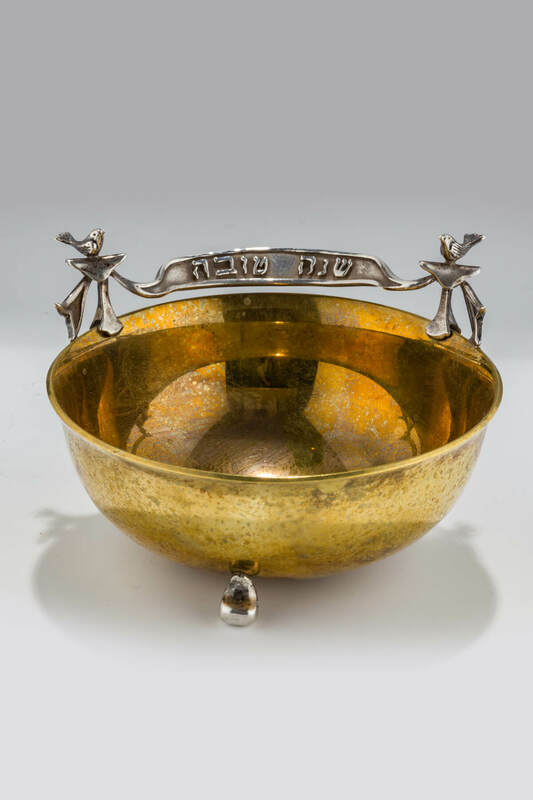 A sterling and brass honey dish by dudek swed. Jerusalem, 1996. On three silver feet. With two birds holding up a ribbon. 4” wide. Estimate $1,500 – $2,000.